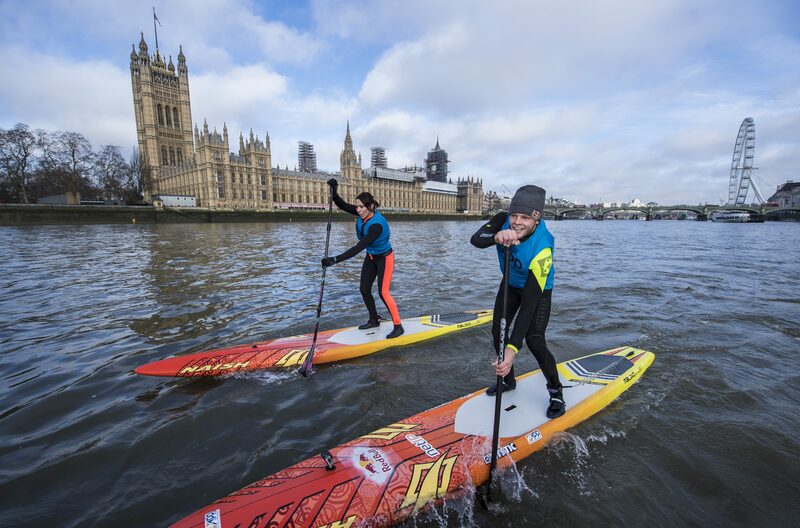 The international, professional association of stand-up paddle boarding, the APP, announced today that it will be bringing the opening leg of the 2018 World Tour to central London for the first time this summer. The London SUP Open will see a series of elite stand-up paddle board races take place on the River Thames and Royal Docks on 7 – 8 July 2018 as the biggest names in international SUP descend on the capital. Entries for the mass participation race open today, Tuesday 6 March via www.londonsupopen.com. London will proudly kick off the four-stop tour which will also visit New York City, San Francisco and Paris. The weekend of racing starts on Saturday 7 July with a pro race along the River Thames finishing at the Houses of Parliament. Proceedings will then head to East London’s Royal Docks, with a series of sprint and long distance, pro and amateur races taking place on the water over the weekend. 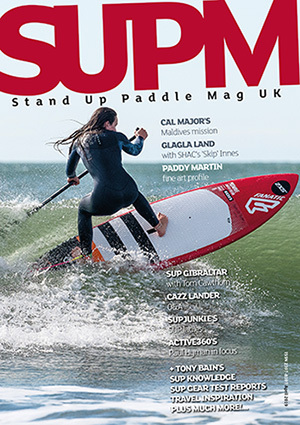 The general public are able to watch the events completely free of charge as the biggest names in SUP battle it out right here in the capital. A major focus of the London SUP Open will centre on mass participation, from 1km entry level races, to multiple distance races and sprint formats: these races are open to everyone and will provide a full weekend of fun and activity for all the family. As part of the event, the Royal Docks in Newham, East London will be transformed into an urban beach lifestyle zone for one weekend only, with food and beverage stands, shopping, live music and stunning spots to check out all the action. There will be extensive opportunities for stand-up paddle boarders of all ages and abilities to have a go at SUP – the world’s fastest growing participation sport. 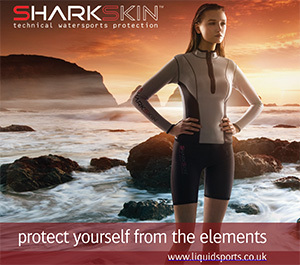 For novices and beginners, there will be trial zones, as well as SUP Yoga and SUP Polo areas. There will also be a dedicated space where little ones can have a go, too. Entry to the event village is free of charge and open to all. Tristan Boxford, CEO of the APP World Tour said, “The APP World Tour is excited to kick off the 2018 season in London: as one of the most iconic and recognisable cities in the world, London provides not only the ideal backdrop for this all-important opening stop of the APP World Tour Season for 2018, but with the Royal Docks, a central venue that will welcome participation for all complimented by music and entertainment for a true ‘beach lifestyle’ festival in the heart of the City. The 2018 Season on the APP World Tour for Racing sees a concentrated focus on the World’s major Cities, as it starts with the London SUP Open, heads to New York City for the New York SUP Open, then onto San Francisco for a unique extreme race in XXL surf, capped off with the Paris SUP Open in December. 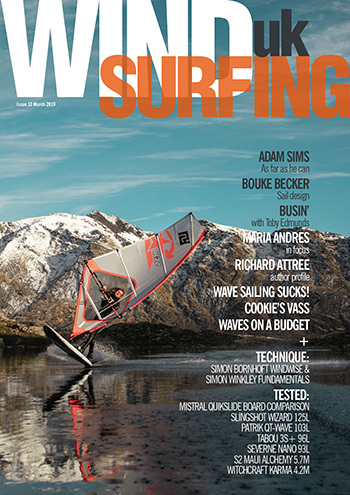 The APP World Tour builds on the foundations laid by the Waterman League since its inception in 2009, with a laser focus on growing the sport, creating icons, delivering a dynamic show and ensuring an all-inclusive experience that inspires participation at every level across key markets worldwide. Its events will grow into major global lifestyle festivals held in a mix of high profile Cities such as Tokyo, New York & San Francisco and iconic destinations such as Hawaii & the Canary Islands.